The executive homes in Credit Pointe constitute one of Mississauga’s best kept real estate secrets – a small, luxurious enclave of upscale homes located in the heart of central Mississauga. Credit Pointe is tucked away in north central Mississauga, and is bounded by Eglinton Avenue to the north, Highway 403 to the south, an area parallel to Creditview Road to the east, and the Credit River and Mississauga Road to the west. Square One Shopping Centre is only a few minutes away by car, as is the Heartland shopping area, and the nearest GO Train station is Streetsville, also only a couple of minutes away. The best way to describe Credit Pointe is probably “affordable luxury”. The subdivision was built primarily during the late 1980’s and early 1990’s, when builders offered larger lots than the smaller ones that you get today. Credit Pointe consists of a mix of regular homes offering terrific value compared to newer subdivisions, plus larger executive homes located on premium lots, with double and sometimes even triple car garages. Credit Pointe is the type of neighborhood where many of the homes, even the more modest ones, have swimming pools. Credit Pointe can be recognized by the large sign posts at the stone gates which greet you when entering the area off of Eglinton Avenue. The main street in Credit Pointe is a circular drive known as Credit Pointe Drive, and there are numerous tree sheltered crescents which exit off of it. Streets in Credit Pointe include Inverness, Ravensmoor, Glastonbury, Hewick’s Lane, Flamborough, Netherly, and Ballantrae. Although almost all of the homes in Credit Pointe are executive category, comparatively good real estate values can still be found here, especially when you consider that the neighborhood is so centrally located in Mississauga. 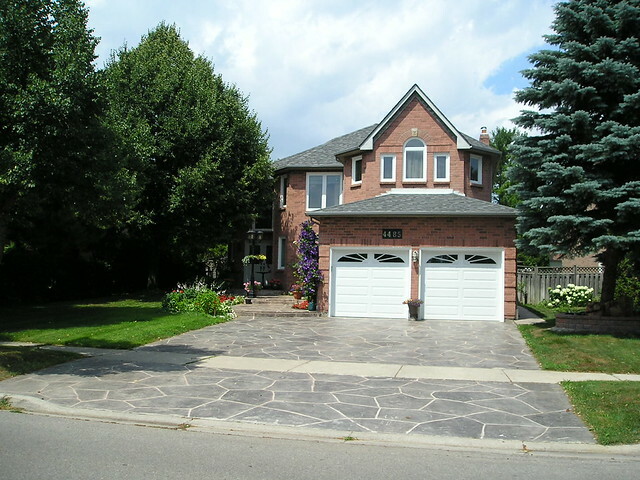 Although several streets at the southern end of the circle command a high premium, especially those backing onto the Credit River wetlands, most of the subdivision provides surprisingly good values for the sort of market we are in. In addition to the streets mentioned above, there is also Wellsborough Place, Tillingham Gardens, and Covington Terrace – three of the wetlands located streets, and all three command top prices, with most properties selling in the million dollar plus range. Turnover on these streets, as we will soon see, is very low. 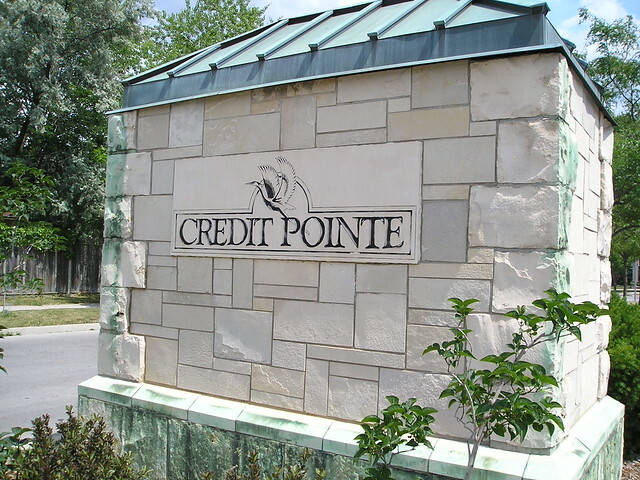 Credit Pointe is a freehold detached area – there are no condominiums, townhouses, or semi-detached homes to be found here. You can see from the above numbers that there is a nice mix of affordable, and super luxury homes in this pocket of Mississauga. The lower prices on the chart are for smaller homes by square footage, and you can see that the entry prices into this subdivision are relatively attractive – hence the tag “affordable luxury”. Prices generally increase as the size of the property increases, so there is plenty of room for upgrading. I hope you have enjoyed my short profile and review of the fine homes of Credit Pointe. 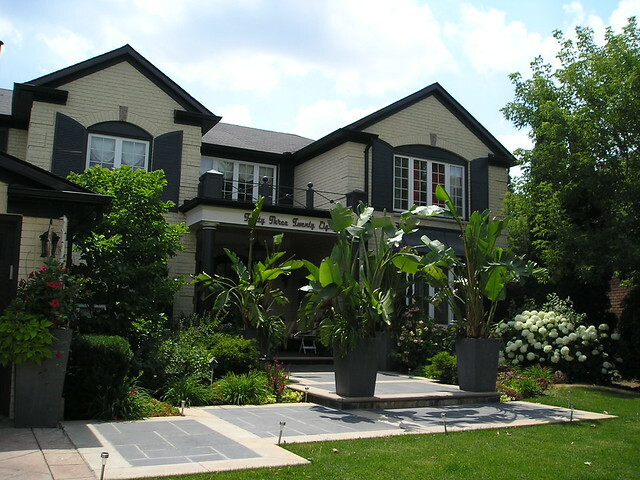 This is the first in a series of articles that will feature reviews and photos of the luxury neighborhoods of Mississauga. Click here: Credit Pointe real estate – and enter in your email address so that I can send you a helpful real estate plan that you can use to either buy or sell your Credit Pointe home today.